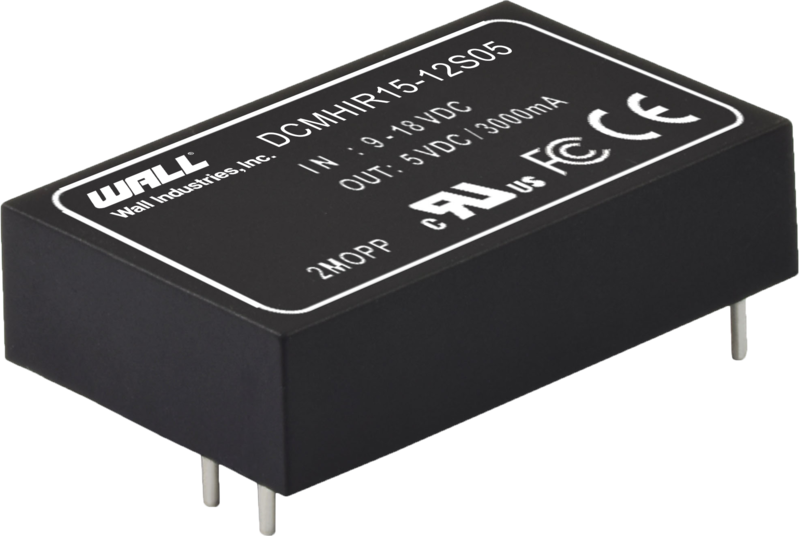 The DCMHIR15 series of DC/DC converters offers up to 15 watts of output power in a very compact 1.6” x 1” x 0.40” through hole package. 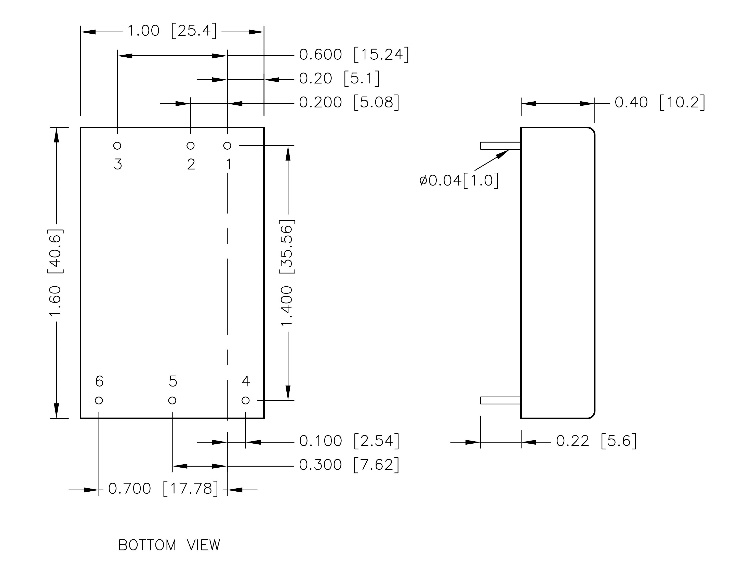 This series consists of single and dual output models with either a 2:1 input range or 4:1 input range. Each model features low leakage current and standby power, 5000VAC reinforced isolation, no minimum load requirement, and remote on/off with positive or negative logic. The DCMHIR15 series also has protection against over voltage, over load, over temperature, and short circuit conditions and is RoHS and REACH compliant. This series has IEC/EN/ANSI/AAMI ES 60601-1 UL E360199 and IEC/EN/UL 60950-1, 62368-1 UL: E193009 and CB: UL (Demko) safety approvals. Notes: 1. To order positive logic remote on/off, add the suffix “P” to the model number. To order negative logic remote on/off, add the suffix “R” to the model number. 2. Note: UL approvals are pending. 3. This product is listed to applicable standards and requirements by UL. CAUTION: Power modules not internally fused. An input line fuse must always be used.